Last week Sorin helped cut the ribbon at the grand opening of RCE’s newest group home, which happens to be named after him. His art brightened the walls of the newly completed house where he and other young adults with severe disabilities will live on RCE’s Residential Campus. A brass band welcomed local church partners, the Child Protection Department, neighbors and friends. Take a look at this clip of the celebration. 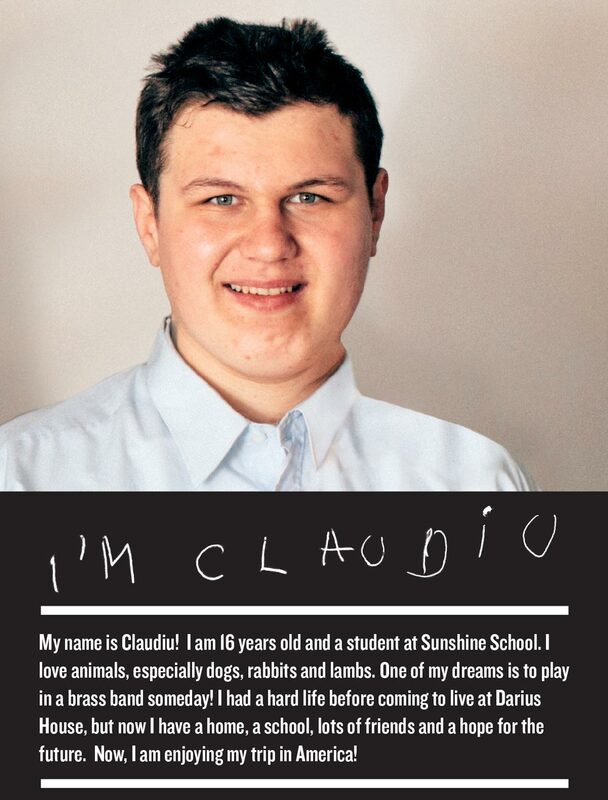 Watch it again and take note of Claudiu, a Darius House boy and special guest in the upcoming 5K RUN. He is playing the tuba. It has been his dream to play in a band and there he is doing so! And Ghitza, who now lives in Pecica House on the Campus, joins in spontaneously on the drums. It was a happy day. Residents in RCE’s group homes are not measured or valued for their accomplishments or abilities but for their intrinsic value and worth as children of God. However, Sorin’s art is brilliant and enriches us all, and Boti’s smile brightens any day. Knowing these young people is to know a little more of the heart of God who rescued them. There was a time, and it is still true in far too many places around the world, that these kids would not be treated with dignity. But in this place there will be laughter and light – and yes, there will be some tears - but God’s people will be there to wipe away the tears. With your help, and by God’s grace, we have created a place where Sorin can continue to use his gift as an artist; where Boti and Adina can work in the garden and help care for the chickens and rabbits and vegetable garden; a place where Leti can grow old with dignity. Thank you for your generous gifts, your prayers, and your support that made Sorin’s House a reality. Mark your calendars for April 28th and come join Claudiu . . . and RUN FOR THEIR LIVES! Click here for registration and details! Christopher enjoys a great glass of juice, eating grains that he has never heard of, and seeing how much spinach he can sneak into his children's smoothies.They let him know when he goes too far.